The Election Fix: Is the Congress right to plan its revival instead of allying with BSP-SP in UP? A ‘Right to Healthcare’, the AGP returns to the NDA and why one BJP MP thinks there will be no elections after 2019. Welcome to The Election Fix. Every Monday, Thursday and Sunday until the results of India’s Lok Sabha polls are declared on May 23, we will bring you all the news, analysis and opinion worth paying attention to. This week, we take a look at whether the Congress is right not to ally with the SP-BSP alliance, what research says about the BJP’s support base and why a BJP MP thinks there will not be elections after this one. In case you have suggestions or I’ve missed something, please email me at rohan@scroll.in. 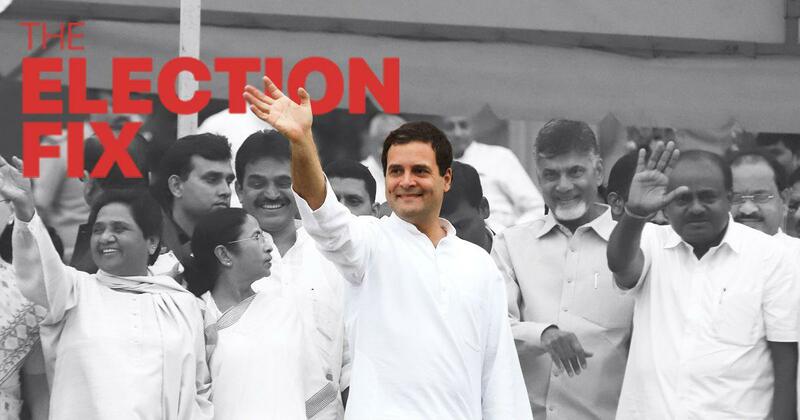 I’d like to thank Sparsh, Samarth, Sherna, Christine and Rajesh for sending notes and suggestions about previous issues of the Election Fix, which you can find here. And if you haven’t already, subscribe here to get the Election Fix in your inbox, and also pay for quality journalism by subscribing to Scroll+. What does the Congress hope to get out of this election? It may seem as if the answer is obvious – coming back to power. But the question actually underpins one of the key dilemmas the principal Opposition party has been struggling with. Should it cede space to other Opposition parties with the singular aim of defeating Prime Minister Narendra Modi and the Bharatiya Janata Party? Or should it work on its successes in the three North Indian states last December, and attempt to revive the party for the future? Though the question comes up in Delhi, Punjab, Haryana and elsewhere, the crux of the debate revolves around Uttar Pradesh. Should the Congress give up its ambitions in the state and support the Bahujan Samaj Party-Samajwadi Party combination, which is better placed to take on the BJP? Or should it make efforts to build its own base with the 2022 state elections in mind? Earlier, BSP chief Mayawati ruled out an alliance with the Congress anywhere, though the BSP-SP combine left the two Nehru-Gandhi seats of Amethi and Rai Bareli out of their own candidate lists. On Sunday, the Congress announced that it would not put up candidates in seven other seats, those where senior leaders of the BSP-SP alliance are expected to contest. But that still leaves 71 Lok Sabha seats that might face a tri-cornered contest. Any splitting of anti-BJP votes is expected to benefit the saffron party, especially if margins end up being tight. Despite this, the Congress and the BSP-SP alliance have been unable to come to an arrangement. Political scientist Suhas Palshikar has argued that the Congress has gone from a catch-all party to being one which doesn’t have the allegiance of any particular broad group. Yet research has shown that voters are ideological. This may explain the Congress’ concerted effort to double down on its entitlements-based vision, while attempting to shed its corruption-tainted past. But arresting its decades-long decline and rebuilding the party will take time. If the Congress believes Modi is most likely to return after these elections, why shouldn’t it work towards that end rather than cede space now? The answer, for many in the Opposition, has been to insist that this is no ordinary election and that Modi’s return could be an existential threat for all of them. Rumours persist that the Congress may still make a deal, in UP and elsewhere, at the last minute, so as to keep the BJP on its toes. But even so, the question about which approach would have been ideal will remain – at least until the voters offer their opinion. The Congress is promising a “Right to Healthcare” to provide minimum healthcare to all. As with the party’s promise of a universal income for the poor, details of this proposal remain scarce. In 47 of Uttar Pradesh’s 80 constituencies, the Muslim-Yadav-Dalit population is higher than 50%. How the BJP fares in these seats will be key to its overall fortunes, find Kumar Ashish and Poulomi Saha in India Today. 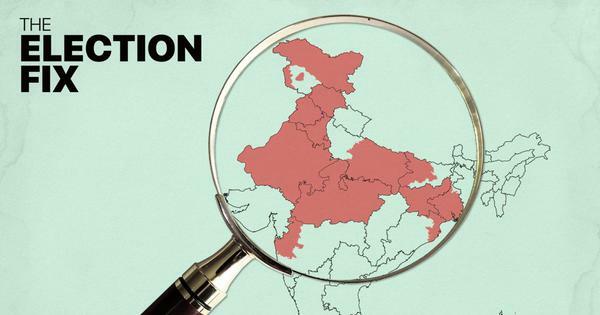 Mint looked at the results of state elections between 2014 and 2019, and factored in an erosion of votes for incumbents over time, finding that the BJP-led National Democratic Alliance could win 252 seats, 20 short of the halfway mark. Esha Roy in the Indian Express heads into the little villages of West Bengal to get a sense of what development means to them. The surprise return of Assam’s Asom Gana Parishad to the BJP fold brings up this question: is the contentious Citizenship Bill now history? Ipsita Chakravarty takes a look. Akash Bisht examines what choices voters make when Assembly elections are held alongside Lok Sabha polls. The Election Commission may want to enforce the Model Code of Conduct on social media, but, Shoaib Daniyal points out, it won’t be easy. Anita Katyal says it is advantage BJP again as nationalism displaces livelihood issues from political narrative. Our reporters are out in the field from this week, and will soon bring you ground reports on the elections from across the country. Your support could help us go further and dig deeper.Subscribe to Scroll+ and help pay for quality journalism. The BJP has once again tried to turn a jibe into a selling point, getting all of its leaders to add “Chowkidar” (watchman) to their Twitter handles in response to the Congress’ slogan, “chowkidar chor hai” (“the watchman is the thief”, a reference to its allegations against Modi in the Rafale case). Samajwadi Party leader Akhilesh Yadav had the sharpest retort. Does the Sangh Parivar know something we don’t? BJP MP Sakshi Majaraj said there is a Modi “tsunami” this year, and after that there will be no elections in 2024 or after. Rashtriya Swayamsevak Sangh leader Indresh Kumar meanwhile said Pakistan will be part of India by 2025. Manish Khanduri, son of former Uttarakhand Chief Minister and BJP leader BC Khanduri, joined the Congress at a rally in Dehradun. Some have suggested that Manish Khanduri will take on National Security Advisor Ajit Doval’s son Shaurya Doval over the Pauri Garwhal seat. The jockeying among Congress’ Madhya Pradesh leaders continues. Chief Minister Kamal Nath has said if former Chief Minister Digvijaya Singh wants to contest Lok Sabha polls, he should pick one of the seats Congress has not won in decades. The Congress and BJP find themselves on the same side in West Bengal, demanding that central forces are deployed at every polling booth in the state, accusing the ruling Trinamool Congress of encouraging violence. The manifesto of the Pattal Makkal Katchi, which is part of the AIADMK-BJP alliance in Tamil Nadu, promises to push for more states’ rights, but also says the party will push for parental consent to be made mandatory for anyone getting married below the age of 21. “The present moment affords an opportunity, for whichever government assumes office after the General Elections, to enact a Freedom to the Kisan law, giving farmers unfettered rights to sell any quantity of their produce to anybody, anywhere and at any time,” writes Harish Damodaran in the Indian Express. Shivam Vij in the Print says that, in Uttar Pradesh, the third Modi wave is as strong as 2014 and 2017. Can Sharad Pawar’s Nationalist Congress Party hit the double-digit mark in Lok Sabha seats? Faisal Malik in the Hindustan Times examines the question. Rajan Pandey says, in the Wire, that the Congress-led Gathbandan cannot afford to ignore the Left parties in Bihar and Jharkhand.